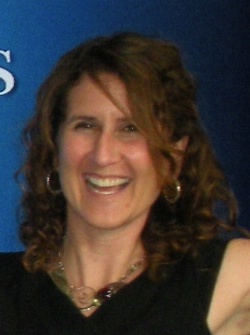 Today’s guest blog post comes from our “Ask the Career Coach” Column by Denise Riebman (AmeriCorps ’94), Director of Career Development and Alumni Services for the Trachtenberg School of Public Policy and Public Administration at George Washington University. Denise regularly takes questions from our LinkedIn Group and responds in our “Ask the Career Coach” column. 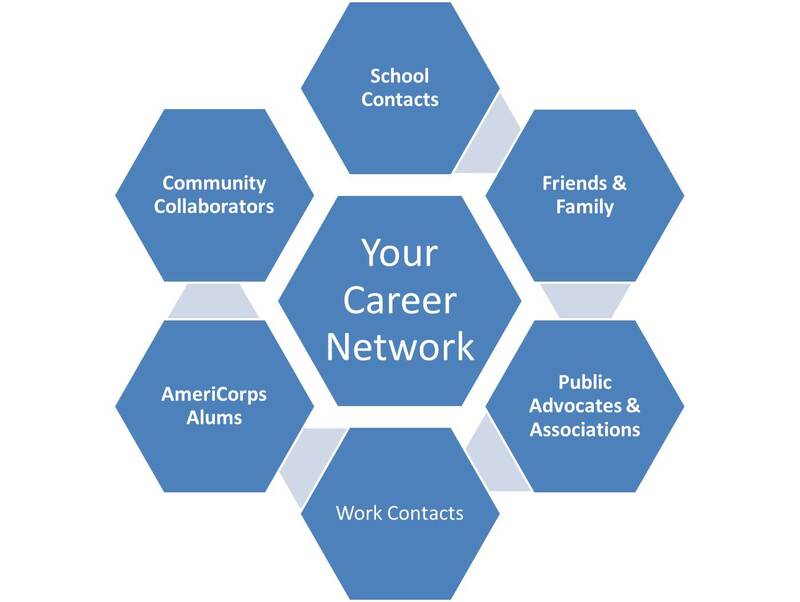 If you have a question for the AmeriCorps Alums “Ask the Career Coach” column, you can submit questions here or learn more tips on her website: careerhappinesscoach.com. The word “Networking” can conjure up images of smarmy people, uncomfortable favors or long awkward silences. Instead think about it as “building your network” which represents mutually reciprocal, professional relationships with people you respect, admire and want to work with now, and in the future. Notice I said “work with” not “for.” Even if that person does hire or recommend you for a job, that should only be one part of your relationship building. Your professional network could include grant writing partners, community collaborators, potential panelists (or someone who asks you to speak at their event! ), prospective applicants for a job you’re hiring for…and the list goes on and on. Reciprocity might not be obvious to you right now, but think about how mutuality could develop in the future. Building Career Capital with a community of individuals with shared interests and goals could result in a greater impact for your causes. It can start off as easy as closing a thank you email after a networking meeting with this line, “Thank you again for your help, and if there’s ever anything I can do for you, please don’t hesitate to get in touch.” Then you might give them a heads up about a relevant event or article, or ask them for coffee and have an agenda-free meeting when you talk about issues and shared interests. Light, authentic “touches” keep you connected now and into the future. Yes, you read that right. I don’t want you to waste your time at generic networking events which are often filled with people who want to just pass out business cards or who are desperate for a job. Instead, attend events (and make it less stressful by asking a friend to join you) that are relevant for your field. Conferences, lectures, fundraisers, volunteer events, advocacy meetings, community gatherings are all effective approaches to connecting with people who care about the same things you do and will result in natural conversations. And if you can find programs where you see the same people repeatedly, this will accelerate the relationship building. 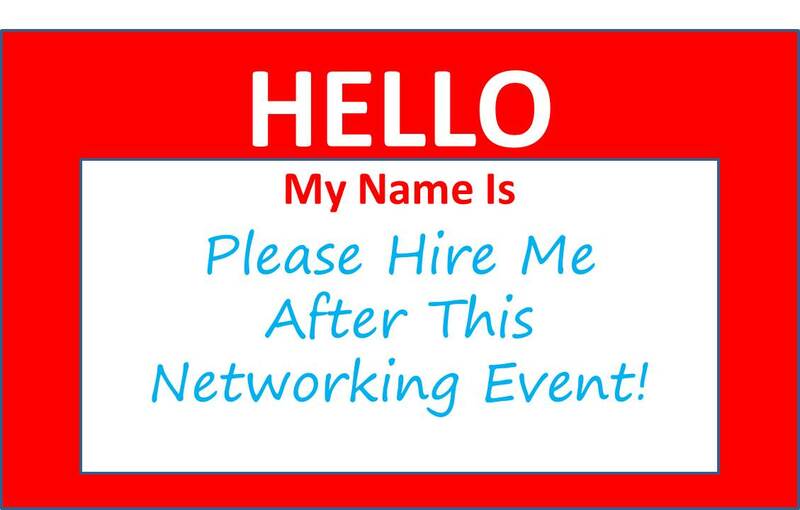 Be careful of generic networking events, you find more job seekers than job opportunities. Umbrella organizations in your city like Hands on Network, United Way, volunteer centers, chambers of commerce and business associations. Nonprofit organizations (e.g. Sierra Club, Planned Parenthood) and university e-newsletters. Focus on universities with relevant research centers/schools (e.g. If interested in transportation planning, look for a School of Urban Affairs; want to get involved in nutrition issues, check out a School of Public Health). State/Local government and groups advocating for state/local issues. For example, I commute everyday by bike so I often go to Sustainable DC events to connect with like-minded individuals. Meetup Groups. Once primarily focused on social groups, Meetups now have something for everyone from foreign policy professionals meetings to green gatherings to corporate social responsibility talks. LinkedIn Groups and Following Employers on LinkedIn . One easy trick is to check out profiles of people who have jobs that you’d like, and see which groups/employers are on their profile for ideas on which groups and employers would be most beneficial for you to join or follow. Starting from scratch can feel overwhelming…until you realize that you don’t actually need to start from nothing. Since cold calling can be intimidating, I recommend instead beginning your outreach with who you know and ask them to facilitate introductions to their connections. LinkedIn should be your new best friend as you can easily check out your first-degree connections to see who is in their network. Don’t think of this as stalking but as doing your research. And one tip to make it easy for your contacts is to offer to draft up language about you and your interests so that they can just copy and paste it into an introduction email. It may be optional to personalize a LinkedIn invitation, but if you want to make a meaningful connection, personalize it. Last week I met with a student who was frustrated by her lack of progress in landing a job, so I asked her how it went following up with the contacts she received from a professor. After a feeble excuse, she confessed that she just hadn’t felt like following up yet. Seriously? When someone sends an email introduction for you or gives you a contact’s email, send a note immediately to the new contact (and thank the first person for making the introduction). If at first you don’t hear back from the new contact, hit “reply all” so that the initial email is included and send another message like, “I wanted to send you a quick note to follow up on the email I sent last week (copied below) about finding a time to connect. After hearing about your work from Jack Smith, I am eager to learn more about your career. Thank you!” Just because they didn’t respond the first time, doesn’t mean they aren’t interested. More than likely, it just means that they were busy and appreciate a light touch reminder. And after an initial meeting or talking with someone at an event, connect with them via Twitter or LinkedIn. LinkedIn even has a place for you to include where you met them and set up reminders to follow up. Please don’t ever send the generic LinkedIn connect message – 30 seconds is all it takes to write a personalized note, and it will have a much greater impact. I know initially it can seem awkward or feel like stalking. I know it doesn’t come naturally to everyone. In fact, it doesn’t feel natural to most people at first. I also know that once you shift your thinking to see it as a long-term, mutual relationship, and start practicing in all situations it will get much easier. And shocking as it may be to learn, people actually want to help you. Studies conducted in the UK showed that people underestimate by up to 100% how likely others were to help them. The reality is that in our interconnected world building an expansive network is a necessity for professional success. And, as I said before, if you’re connecting with people you like, who care about the same things that you do, it can actually be fun! So STOP putting this off and GO build yourself a network that inspires and motivates you! Good article! Still, one of the areas that is not mentioned is despite one party doing all the above well and reaches out multiple times, but is never followed up from the contact that seems valuable be it after exchanging contact info at an event or being referred to. Another case is when one party stops responding for no clear reason and yet replies to other people when usually you had a smooth relationship with the other party. Thanks for the time! Just wanted to discuss asl such as has happened to be noticed generally. Great post. I think everyone hates networking because it sounds like a cover for asking people to help you find a job. In reality, networking should be about discovering how you can add value. That happens through curiosity and conversation. You don’t have to talk to everyone. You don’t have to mention your job search to everyone, in fact you’re better off not mentioning it at all until your comfortable. Asking for a help finding a job shouldn’t feel like panhandling. Just pretend it’s a real conversation to find out how you can help.